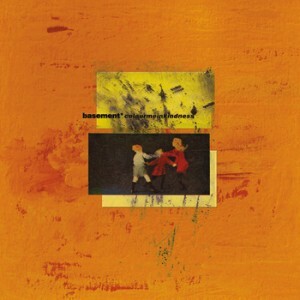 Regardless of its quality, Basement’s second full length Colourmeinkindness would be tainted by the bittersweet knowledge that it heralds an indefinite hiatus from the band. Far from sounding jaded or disgusted, though, the album sounds cathartic—Basement writes more like a band hitting full stride and finding their voice than one that’s unraveling. Like the letters in its unpunctuated title, Colourmeinkindness seems to imply more than the tracks alone can relate. The album’s laconic nature leads the listener to question whether the album is in fact complete, or whether this is just as far they could get before things crumbled around them. As such, what’s on the album is just as important as what’s not, since its uncompromising brevity is part of what makes it such a thrilling listen. The end result is a very passionate record, more noteworthy for its content than its swansong status. Anyone who grew up in the 90’s will find much to adore in this band’s appropriation of grunge sounds. But even for those not inculcated in everything Seattle, the ballsy distortion is so gripping that anyone could head bang to it. The album opening “Whole” revives the grunge template with startling precision—begging the question, why such sounds ever fell out of favor? The song is a study in guitar economy and punch, underscored by ravenous drumming. The lead singer’s vocal cords stretch and tare throughout, as if he’s exorcising a demon over the course of three minutes. Likewise, “Covet” borrows the Pixies quiet-LOUD-quiet approach (made famous by Nirvana on “Smells Like Teen Spirit”), but with a decidedly minor dirge approach. Where as the Pixies would sound manic, and Nirvana depressive, Basement sounds volatile and vitriolic. Again, the rhythm section takes the focus mid-way through the song, volleying jungle rhythms at each other before the guitars crash back into the mix. “Pine” changes the pace of the record like a brilliant curve ball—slowing the tempo and dialing back the aggression to let the band’s sweet side shimmer. Of course, a band like basement is smart enough to sugar coat their harshest pills. They subversively slip in such unsettling lyrics as, “I don’t love you, I just need to be loved,” and, “Open up your chest, let me throw your heart away.” You might not even notice the narcissistic lyrical themes if you only listen to the rush of electric guitars that honey glaze this barbed wire. Basement manages to have three down tempo songs back to back to back starting with “Pine.” They avoid a midway rut (a common pitfall among alternative albums) by distinguishing each song in both mood and instrumentation. “Bad Apple” is a slow thumper, whose autotuned harmonies come out of nowhere at the end, yet fit perfectly. The third of the trio, the elegiac “Breathe,” is maybe the best song on the entire album. Instead of maintaining a consistent groove, the band fluctuates tempo and volume throughout, always managing to stay in the pocket. The lead singer bleeds into the tapestry woven by the distorted guitars, staining the track with his lovelorn torment. “Breathe” is that rarest of rare gems: a dynamic and heartfelt epic that never sounds gimmicky or redundant. The album closing “Wish” manages to sound more uplifting, dissonant, and rocking than anything since Pearl Jam’s heyday. The unrelenting pummeling of its opening leads to strummy swathes of guitar that splash across the speakers. The whole song demonstrates a great sense of stress and relief, switching between cough syrupy sweetness and amphetamine aggression. The song sounds cagey and rabid, like a badger shoved into a rusty kennel and repeatedly taunted. When the song finally erupts at the end, the listener feels vindicated—after all the turmoil of the track, it ends on a blissfully sugary chord. “Wish” along with “Breathe” serve as the two tent poles for this album, giving it a very classical sense of structure; just like Led Zeppelin’s Zoso or David Bowie’s Hunky Dory, both sides of the album end with a take-no-prisoners epic. This tactic lends Basement a sense of gravitas that very few bands are unaffected enough to attempt. As with the other classics mentioned, however, the end result is that Colourmeinkindness has an indelible sound that makes you want to replay the record. With all the other influences and touchstones mentioned, it would be a shame to leave out the classic Nevermind. On that great album, every song is just as much a testament to well-structured and thoughtful songwriting as it is to individual vision and expression. Undoubtedly, Basement attempts such a feat on Colourmeinkindness; what’s more, they come startlingly close to achieving that incredibly lofty ambition. Even knowing that this is their last album for the foreseeable future, Colourmeinkindness should not be missed—since it revels in the moment of its creation instead of wallowing in the pity of surrounding events.